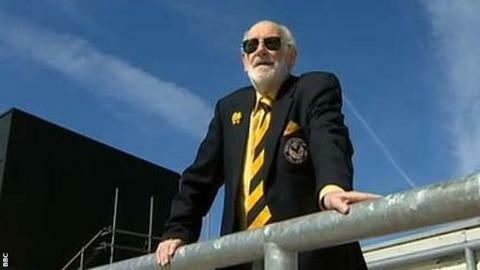 Newport County honorary president David Hando has been recognised in the Queen's New Year's Honours List. The former chairman of the Exiles will receive a British Empire Medal for services to football and to the community in Newport. Hando is widely credited with keeping the team going after the old club was liquated in February 1989. He was the club's chairman when it was reformed in June 1989 and was inducted into their Hall of Fame in March 2015. "He is the man that believed it was possible for Newport County to get back into the football league," former Exiles defender Jason Perry told BBC Wales Sport. "A lot of other people would have just walked away. He didn't give up. "He was determined. He put the work, effort and time in. He understood the importance of having a football club in Newport."